Aluminium Composite Panel Sheets can be used for the most diverse applications. 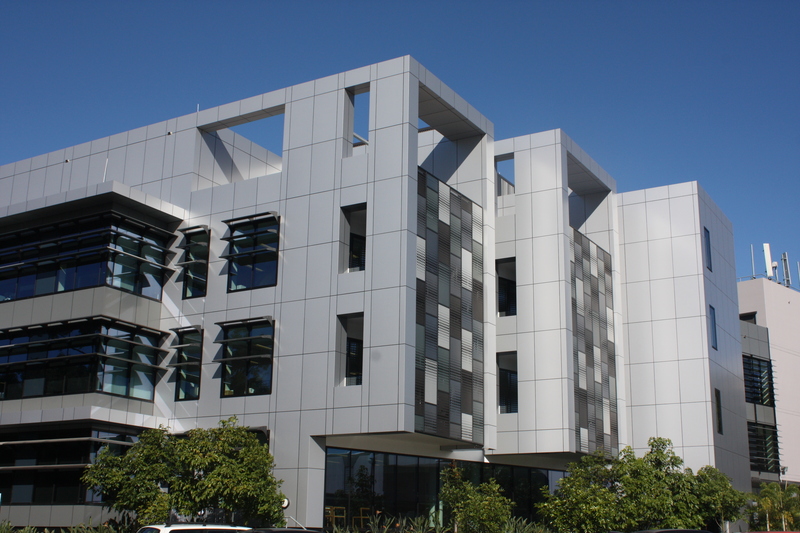 In construction, the so-called aluminium sandwich panels are often applied to the walls of buildings to serve as siding. Furthermore, the panels can also function as machine shields or roofs for gas stations. Comhan has been launching Aluminium Composite Panel Sheets for diverse applications on the market for over 25 years. Since Aluminium Composite Panel Sheets can be employed for many different purposes, they are available in many different shapes. Regardless of the shape, in principle the products are always the same. Aluminium Composite Panel Sheets are composed of two thin, massive aluminium sheets that are bonded to a core of the plastic polyethylene. Together with the plastic core, the aluminium forms a sort of sandwich. That is why the panels are also called aluminium sandwich panels. Aluminium Composite Panel Sheets have many advantages over other, comparable, materials. Because of the use of aluminium and plastic, the panels are lightweight and stable. Furthermore, since aluminium sandwich panels can be very easily modified with simple tools, the material provides the advantage of large formability. Another great advantage is the fact that the panels are fire retardant or sometimes even fire resistant. Next to that, the panels are also sustainable since they are completely recyclable. The first aluminium sandwich panels were introduced in the ‘60s with the brand name Alucobond®. This name encompasses precisely how the product is being made: Aluminium - Composite - Bonding, in other words, bonding the aluminium to composite material. That is why, originally, composite panels of aluminium were also called Alucobond. Since then, numerous producers and brand names emerged, however, the products in essence have not changed. The characteristics of the different aluminium composite panels can, however, differ from one another, depending on the composition. Comhan has been producing sandwich panels for over 25 years. The names that are being used for the products tell something about the material, namely ACP (Aluminium Composite Panel) and ACM (Aluminium Composite Material). The Aluminium Composite Panel Sheets of Comhan can be employed for multiple purposes in construction, industry, and signing. For which purpose the sandwich panels are the most suitable is dependent on the thickness of the aluminium sheets, the plastic core, and the surface treatment. What makes the Aluminium Composite Panel Sheets of Comhan unique, is the possibility to apply multiple colours on 1 side of the panel. This is due to the fact that the aluminium sheets, varying in thickness from 0,15 to 0,5mm, are covered in varnish through a rollercoat process. Usually, the panels are being varnished on 1 or 2 sides and covered with protective film. This film protects the varnish during modification and is available with a thickness of 2, 3, 4, 6, or 8mm. Aluminium sandwich panels are available in different sizes, with a minimum of 2 x 1 meters and a maximum of 6 x 2 meters. Are you interested in aluminium sandwich panels for construction, industry or signing? Contact one of our specialists or request information without obligation.